My weekday travels are usually very hectic and time consuming. 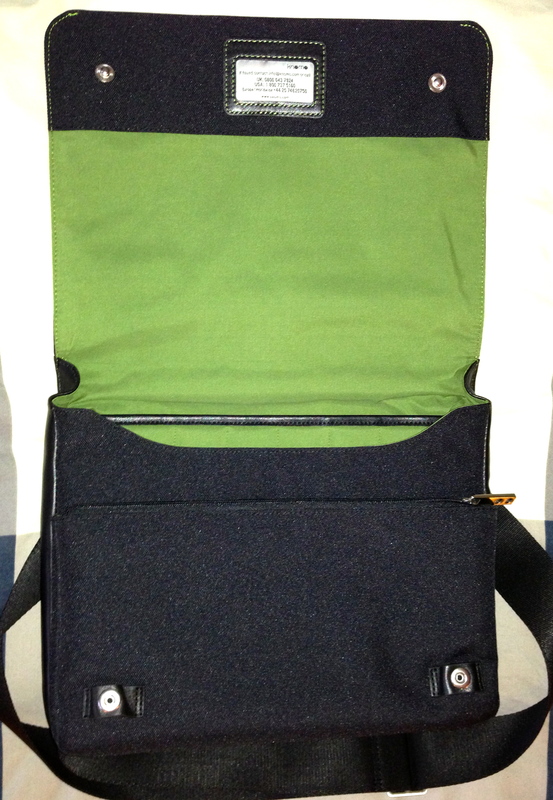 This promoted me to investigate my options in sourcing a high quality bag which was light, of a high quality and able to organize my daily essential gadgets. I stumbled upon the Knomo kilkenny by a chance visit to House of Fraser on Oxford Street, London. Although a tad pricey for an 11” man-bag, at £165, it ticked all my boxes. Made of luxurious high quality leather with ample storage space in a compact design, I was immediately sold. 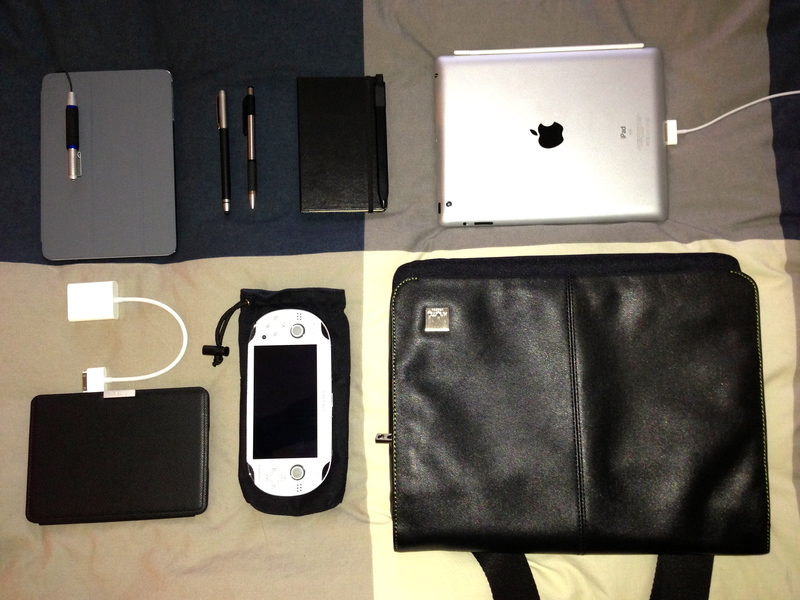 On my daily commute, I carry my iPad, iPad mini, Kindle Paperwhite, PS Vita, Moleskine notebook, a selection of pens and styli, wallet and iPhone 5. This bag comfortably holds them all, without the squashed feeling I got from other bags. 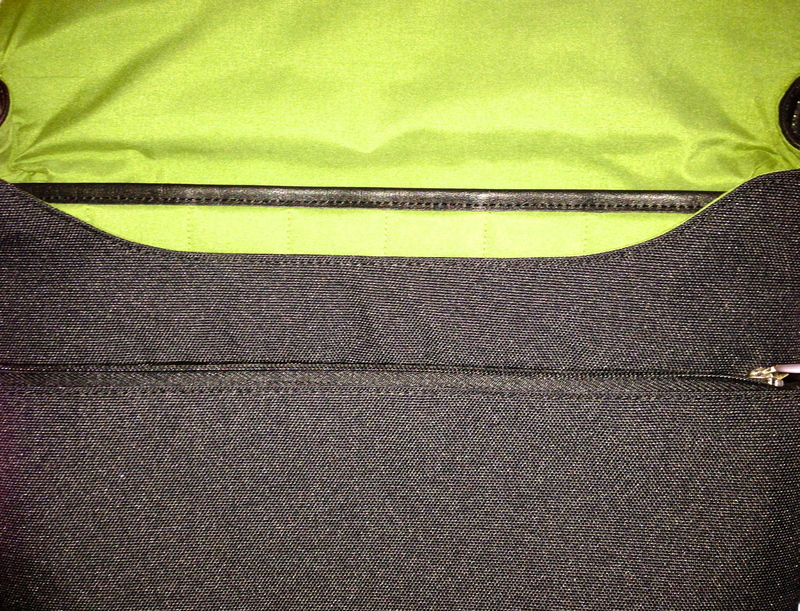 There is a main compartment inside the bag, which holds my iPad and Logitech keyboard. 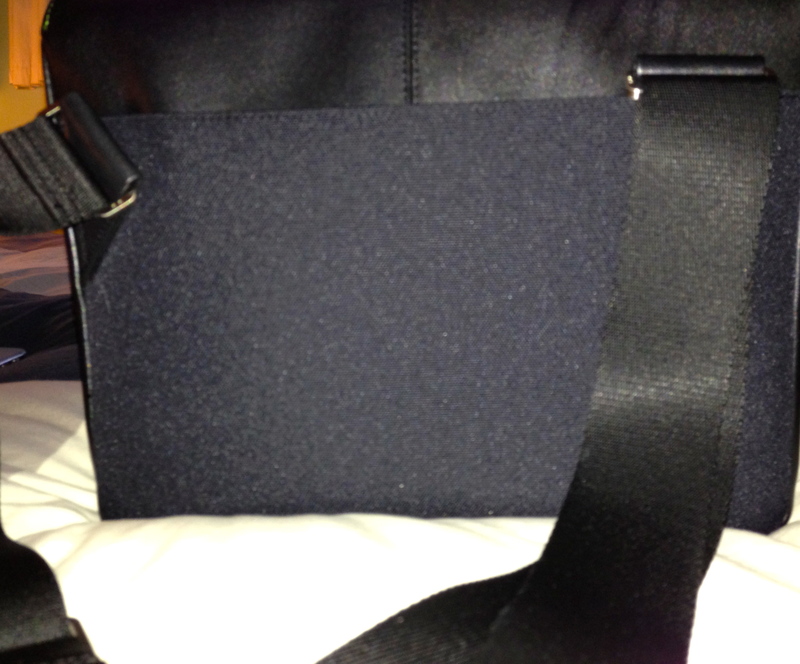 However, the bag is designed to accommodate up to an 11″ MacBook Air. Another main compartment houses further gadgets, and is home to my PS Vita and Kindle Paperwhite. 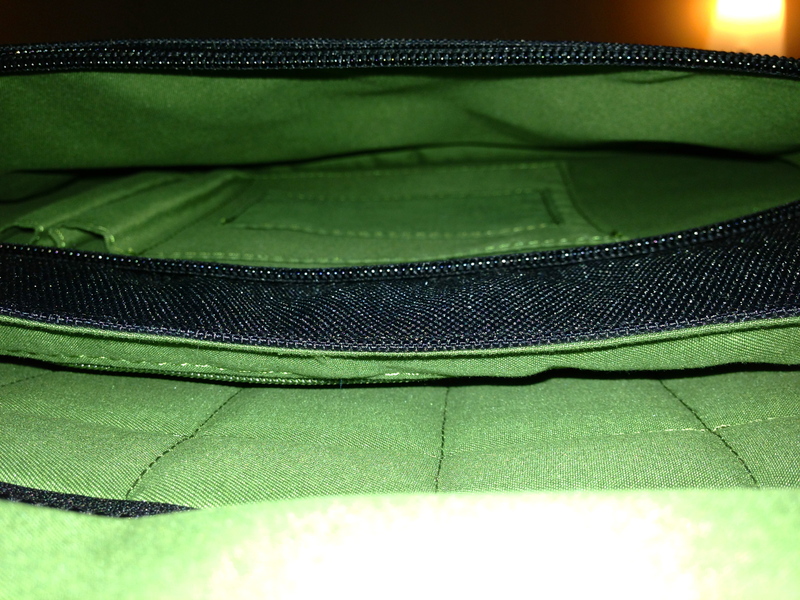 The front zipped compartment is also roomy, holding a small Moleskine notebook and pens/styli. There is a large pocket at the back of the bag as well, providing immediate and easy access to my iPad mini and wallet, when on the go. 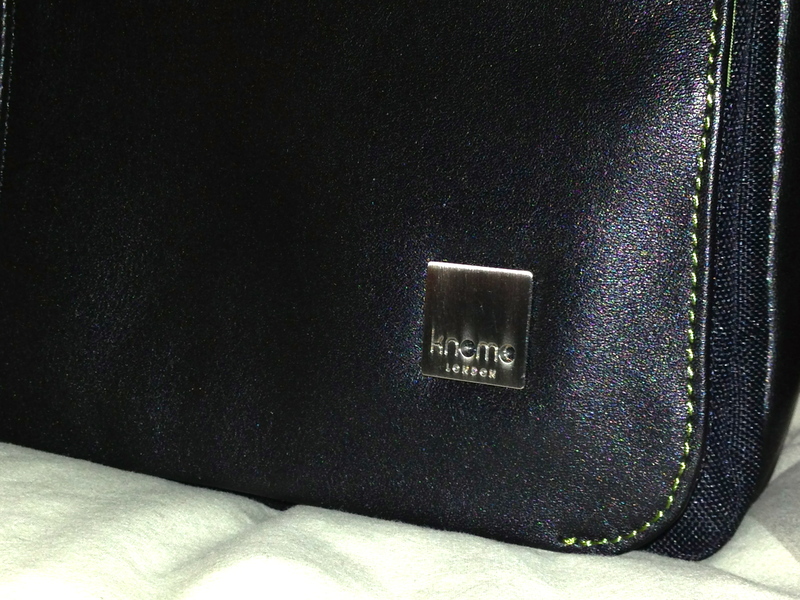 In addition, Knomo provide each bag with a unique printed code. The idea is that the owner registers their bag/code with Knomo, and if found, the finder can call Knomo (free phone) to help reunite you with your gear. Finishing is also top-notch, with high quality soft leather on the front flap along with a subtle Knomo logo. In conclusion, the Knomo kilkenny has definitely improved the organization of my daily commute. Be that on the train, setting up my iPad at Starbucks or for quick access to my Oyster/other cards. The high quality and style are a very welcome bonus.